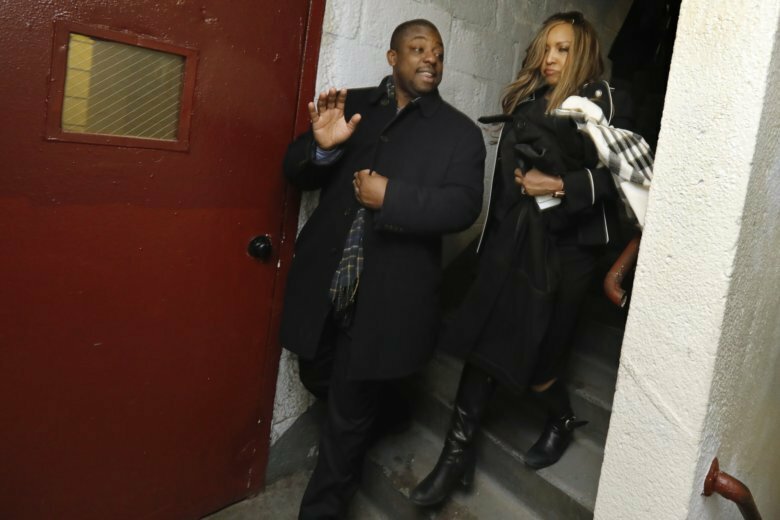 NEW YORK (AP) — A federal housing official’s monthlong tour of New York City public housing complexes hit a speed bump when she got stuck in an elevator Tuesday. Lynne Patton and 10 other people including reporters and photographers were trapped in an elevator at the Frederick Douglass Houses in Manhattan for about 10 minutes when someone accidentally hit the alarm switch. The group had to be freed by firefighters. “Thank you, New York’s Bravest! Sadly, NYCHA residents — elderly & disabled — endure this type of debilitating systematic failure on a regular basis,” Patton later posted on Facebook , using the acronym for the New York City Housing Authority. Patton, the New York-New Jersey regional administrator for the Department of Housing and Urban Development, is spending four weeks living in four different NYCHA complexes. She spent last week at the Patterson Houses in the Bronx, where she joined an aerobics class and used an obscenity to describe the dilapidated state of some apartments. Tuesday’s stalled elevator turned out to not to be a product of systemic failure. NYCHA spokesman Michael Giardina said someone in the crowded elevator accidentally hit the alarm switch. “There was no mechanical failure, and staff were on site immediately to help everyone out after a few minutes,” Giardina said. Patton’s day at the Douglass Houses also included visits to several apartments and a senior center. The NYCHA stays come after HUD Secretary Ben Carson and Mayor Bill De Blasio announced a deal that averts a federal takeover of the housing authority. Under the agreement, HUD will appoint a federal monitor to oversee the authority but will stop short of taking over full control through receivership. The housing authority’s 400,000 residents have long endured problems including vermin, mold and heat and hot water outages. De Blasio, a Democrat, has blamed the authority’s woes on lack of funding from the federal and state governments as well as previous mayoral administrations. But Patton blamed “gross mismanagement” in a Facebook post.